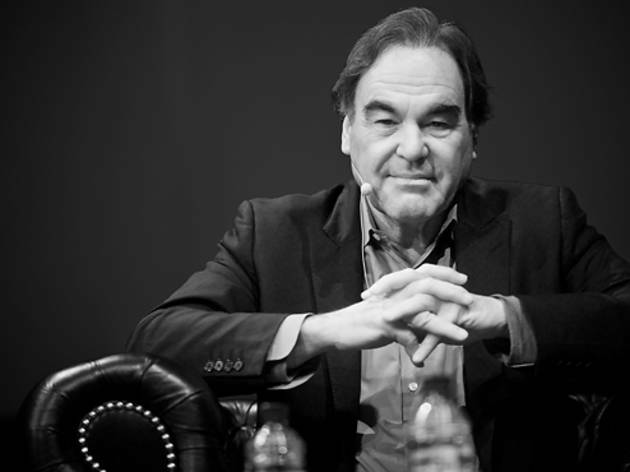 Controversial, opinionated, and well-spoken, Oliver Stone has been sharing his political views and takes on history for decades through film. Now, come listen to him do it in person as he signs copies of and reads from his new book, The Untold History of the Unites States, a companion to his ten-part Showtime documentary mini-series. Stone has been exploring different sides and lesser-known facts of American history ever since Platoon (1986), and the book represents a culmination of years of research, in collaboration with American University professor Peter Kuznik, on America's "secret history," which comes from newly discovered archives and recently declassified documents. The book profiles our country's history from the late-19th century up through the Obama administration and includes photographs as well as documents.